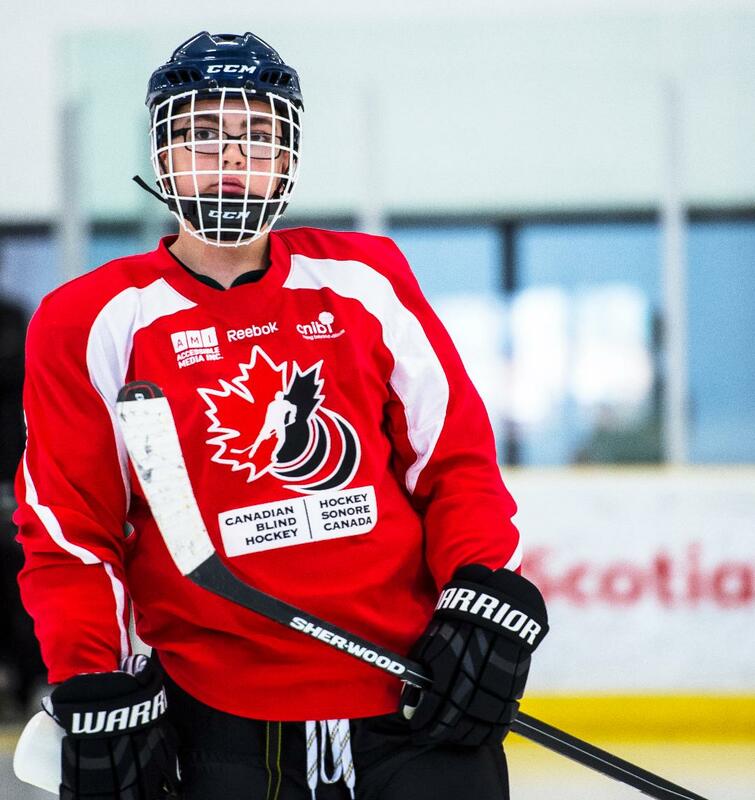 Canadian Blind Hockey Association – The Fastest Blind Sport on Ice! The Fastest Blind Sport on Ice! Welcome to the Home of Canadian Blind Hockey! 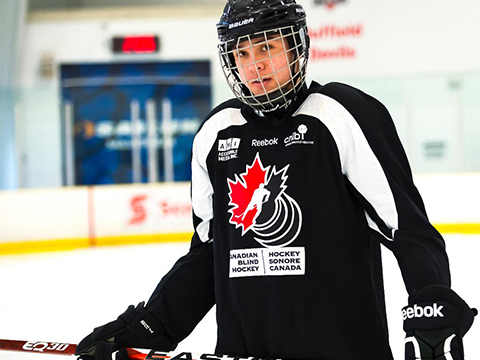 Canadian Blind Hockey is a nationally registered charity that changes the lives of children, youth and adults who are blind or partially sighted by providing introductory “Try-It Sessions”, Development Camps, Regional and National Competitions, and by supporting Canadian Blind Hockey Teams. Unmute to listen to video. Canadian Blind Hockey is a charity that changes the lives of children, and youth who are blind or partially sighted by providing Blind Hockey programming including: introductory try-it sessions, development camps, regional and national competitions, and by supporting the Canadian Blind Hockey Teams. 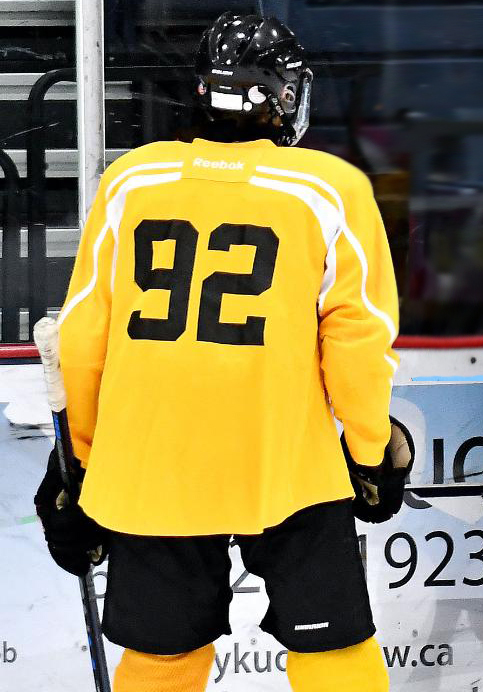 The parasport of Blind Hockey is played by athletes whose level of vision ranges from legally blind – which is approximately 10% vision – to completely blind, using an adapted puck that makes noise and is bigger than a traditional puck. 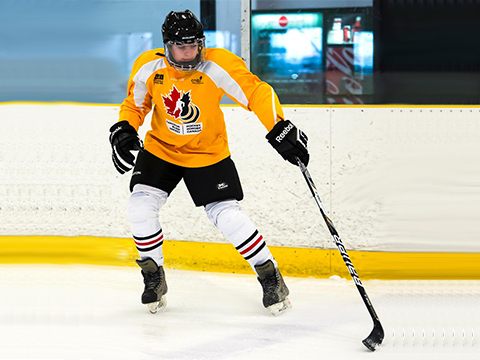 Canadian Blind Hockey programming is made possible by presenting partner AMI – Accessible Media Inc., National Program Partner The CNIB Foundation, as well as generous donors and sponsors coast-to-coast. 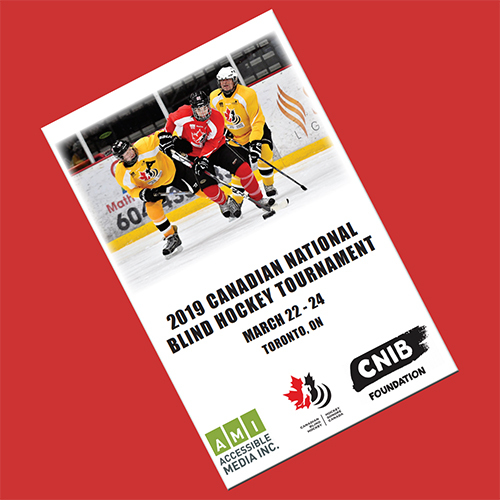 The Original, Biggest, and the Best Blind Hockey Tournament in the world, begins in on March 22, 2019, when the “Adapted Puck” will drop again at the Seventh Annual Canadian National Blind Hockey Tournament. 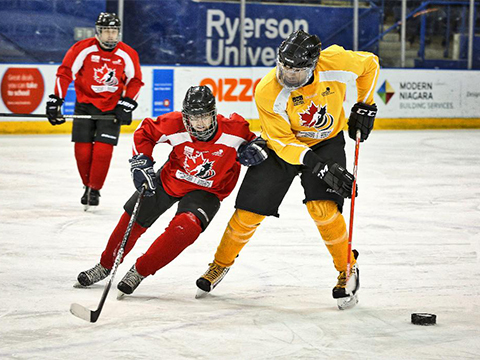 As always, the tournament is at Ryerson University’s world-class Mattamy Athletic Centre – the former Maple Leaf Gardens – in Toronto, Ontario, Canada. Watch the games LIVE on our YouTube Channel. Just click on the game listing in the schedule below and Enjoy! Just click on the Game Listings in the Schedule to watch the game LIVE on YouTube! Presented by AMI – Accessible Media Inc.